Despite what his friends may think, Nick Lucido does not spend his working hours lounging on plush leather couches in a bespoke three-piece suit, smoking cigarettes and sipping well-aged Scotch while dreaming up catchy slogans and creative PR ideas. No, Edelman Digital is not Sterling Cooper. His happy place is sitting comfortably in jeans and Chuck Taylors at a desk in front of his laptop, nose buried deep in Googled research as he sips his usual grande coffee. It’s more Mad Scientist than Mad Men. Lucido’s knack for consumer insights grounded in sound research and data analysis is just one of many reasons why this industrious 25-year-old is the Plank Center’s Young Professional Mentor of the Year. The former past president of the Public Relations Student Society of America (PRSSA) and proud Michigan State grad joined Edelman as an intern in May 2009, and is now a senior account executive within Edelman Digital. 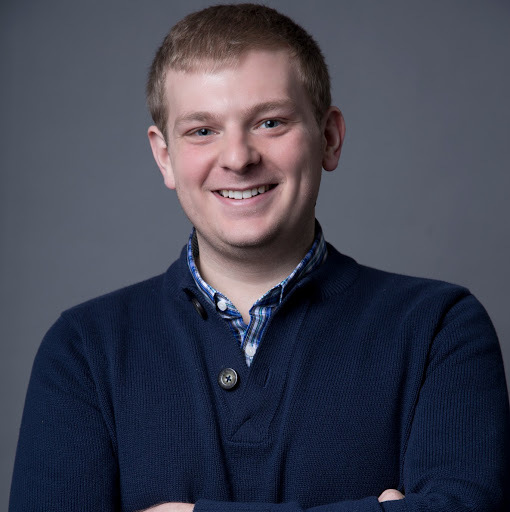 Nick is a member of the firm’s analytics and strategy team, currently providing insight development, measurement counsel and strategic planning for ConAgra Foods, Kraft Food and Kellogg’s. His past clients have ranged from BlackBerry and Bush’s Beans to Cars.com and PayPal. As someone who understands the value of PR leadership, Nick manages and runs his department’s team of six interns. In addition to his professional career, he remains actively involved in outside professional groups like PRSA at the local and national levels. Lucido got exposure to PR and the controlled chaos of an agency environment in high school by helping out periodically at Bianchi Public Relations, a small shop owned by his friend’s dad. He enjoyed the creative aspects of high school clubs like yearbook, and then majored in advertising with a specialty in public relations at MSU. The self-described “Type-A personality” enjoys the collaborative and unpredictable nature of PR. What does it mean to you to win this award from The Plank Center? It’s ironic to win an individual award like this because you don’t get into PR to promote yourself; you get into PR to promote other people and companies. I am completely honored by it, and it’s nice to be recognized for something you really love to do. I’ve been fortunate enough in my career to work under really smart and generous mentors, and I hope to provide that kind of leadership to the interns in our department. Moving forward, it’s just reassuring me that I’m doing the right things and on the right path. Why is it important for you to stay involved in professional organizations outside of work? It’s phenomenal for career development. Getting active in things like PRSA early in your career really puts you on stage with some people who are high up and advanced in the industry. I also think it’s valuable to meet people your own age from other agencies to have that exposure to people whom you can relate to. You manage and run your department’s internship program of six interns. What are a few leadership lessons you’ve borrowed from the positive mentoring relationships you’ve had in the past? The best mentors I’ve had were always good at listening and understanding how their mentee feels about things, processing that and engaging them on their level. The other thing is to have the foresight to listen but also be proactive in making recommendations for things that they should do. [The mentor] should always be thinking two steps ahead of the person they are mentoring. What is the culture like at Edelman? It’s a fun, creative atmosphere. Ultimately, we really value that great big idea, wherever it comes from. It gives you the opportunity to take more of a leadership role earlier in your career, which I think is why I’ve been able to flourish there. What makes for an ideal client? It seems like some clients know too much or too little when it comes to digital and social. But the best clients are open-minded, hungry to learn, willing to take risks and seeking a real partnership. What is your favorite part of your daily job? When we have a business challenge, it always starts with research for us. The research part is the most interesting for me because I’m essentially getting paid to learn as much as I can about different consumers, different audiences and different platforms. You’re able to compile information that allows you to tell a more cohesive story [for your clients]. If we have a creative jingle or slogan that isn’t aligned with what the research is telling us, we won’t go with that idea.